Well, it is so good to be back in blogland! I don't know if you missed me but I sure did miss you. I've been busy visiting around this weekend to catch up with as many of you as possible. Hubby and I have been on the go lately and have one more trip next week and then we hope to be home the remainder of the year. 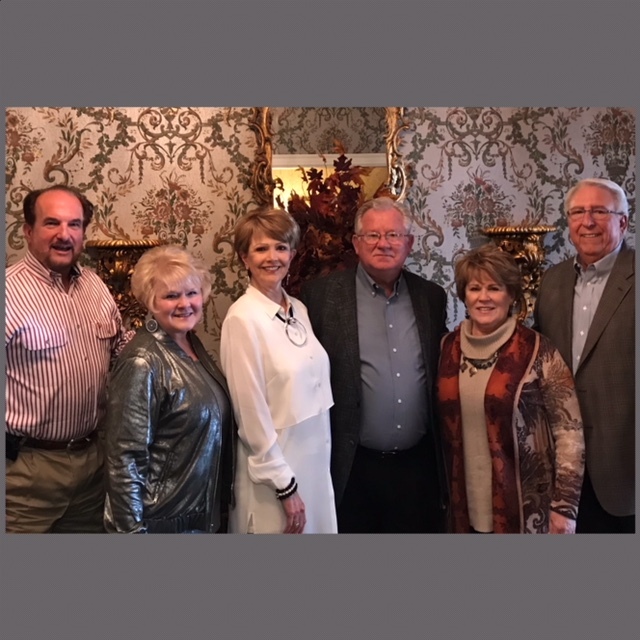 Last weekend we had the rare opportunity to be with both of Tommy's sisters and their husbands. One lives in Tacoma, WA and one in the Atlanta area, so it's not often that this happens. 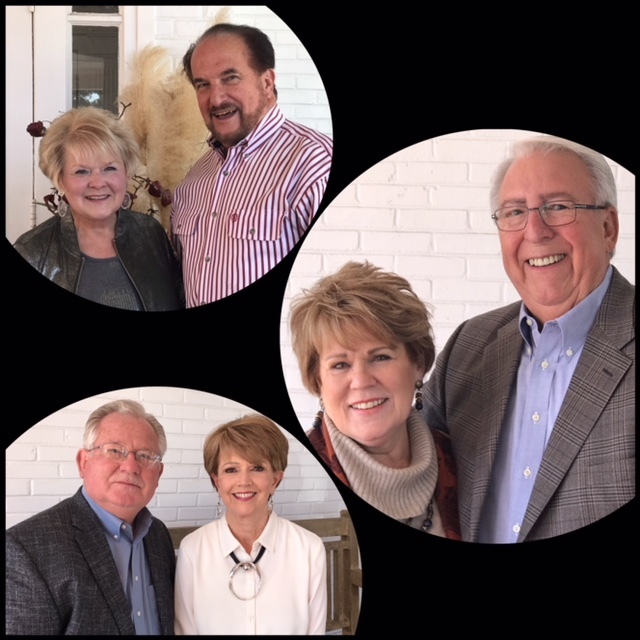 One was passing through in route to Branson, MO and one was in town to attend her husband's 50th high school reunion. Our time together was short but was certainly better than nothing. With all of us living many miles apart, it is often difficult to work out getting together. 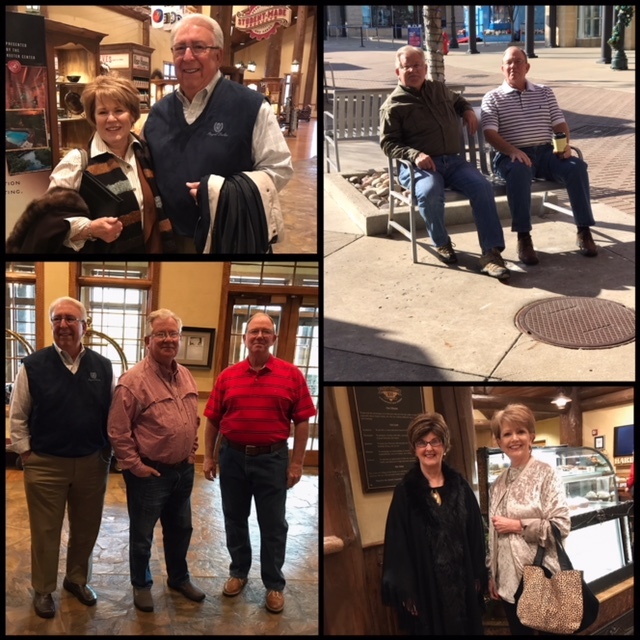 Last week we met dear friends in Branson, MO. for a few days. 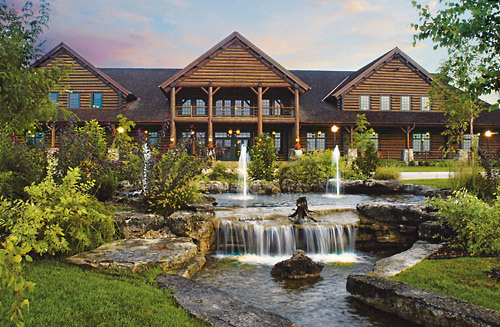 We stayed at one of our most favorite places, The Keeter Center (pictured above), located on the campus of the College of the Ozarks. It only has 15 rooms and it has a lodge like feel to it and is as lovely as any 5 star hotel. And, they go above and beyond to make your stay exceptional! The Keeter Center offers plenty of enjoyment itself. They have the best ice cream, desserts and pastries. A very fine restaurant and, they generally have some type of exhibit to enjoy. 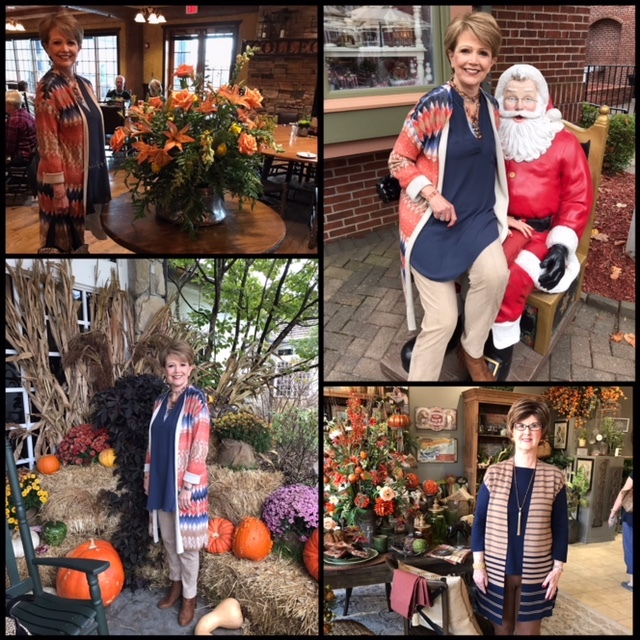 We've been going to Branson for several years and always enjoy our time there. 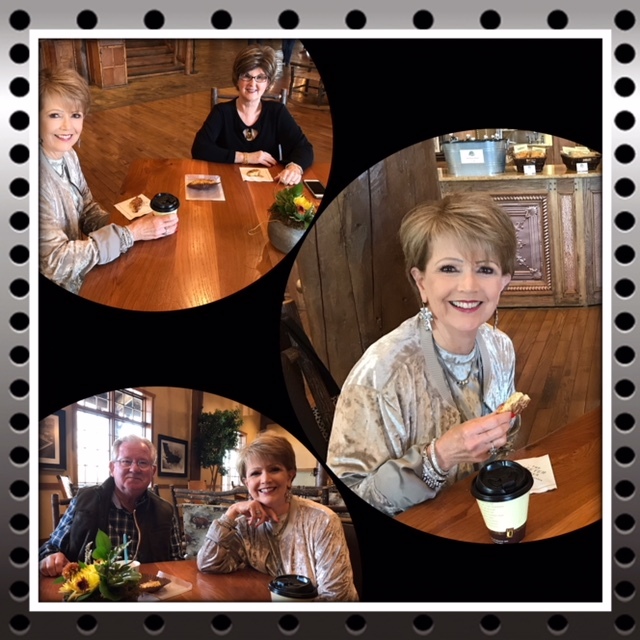 This time we especially enjoyed seeing The Texas Tenors in concert. You may remember that they won America's Got Talent 8 years ago. Their voices will bring chills. If you are ever given an opportunity to see them, I can guarantee that you will not be disappointed! And, while we were away, this fella paid our across the street neighbors a visit. Yes, showed up in their backyard. Our subdivision has two ponds, one small (behind our house) and a larger one across from us. This is the 3rd alligator to show up in about 20+ years. I pray that I never open my door and have one looking back at me. I'm sure, like me, your heart is saddened once again by the tragedy in Texas yesterday morning. These folks left for church yesterday just like many of us, never knowing it would be their last time. I can't help but wonder, when will it end? Lea, It looks like you had a wonderful getaway with both ventures. It is always fun to do that but always good to get home, too. I haven't been to Branson in many years-but our kids have gone quite often over the years. LOL- About the gator...what? You don't want to make a purse out of him? Just think -you would be the envy of all your friends----or maybe not. We keep saying we'd like to go to Branson, but haven't made it yet. We're a spread out family too, my sisters in Oklahoma and Mac's brother in California. Hi Lea.. It looks like you were a very busy lady! Branson looks like so much fun. Enjoy your week. Looks like you made some memories. Its always nice when extended family and friends get together. My hubby and I have said for a while that we would love to visit Branson. I don't think I have ever stepped foot over into Missouri but would love to go. How nice it was to meet up with family there. I could hardly believe it when I heard what happened, once again, at a house of worship. I heard that it was only a congregation of a little over 50 and that means that over half of them lost their lives and what must be the other half are injured in some way. Satan is most definitely trying to take God's people out and I don't know but it may only stop when Jesus comes back. Have a blessed week, Lea. 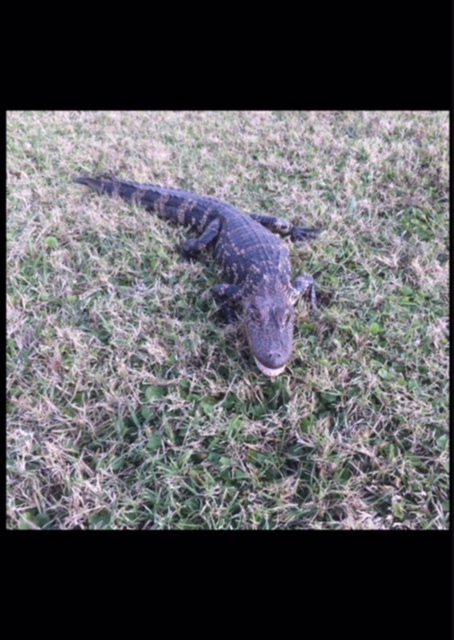 Like you, I would not want to see a gator outside my front door. As it is, I've taken up the habit of loudly bumping the toe of my shoe against the front door any time I go out that way -- in an attempt to wake up any creatures that might be lounging up close to the door on the outside. Haven't encountered any yet, but my next door neighbor did. Eek! Mom and I did not see an alligator! We would freak out! You are looking so cute on Santa's Lap and the Keeter looks like a place Mr Nine and I would love! What fun!